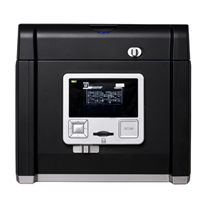 Glite 900 BW | Tamar Laboratory Supplies LTD.
Glite 900 BW gel documentation system by Pacific Image Electronics Co., Ltd. (PIE) is one of the most compact gel documentation systems in the world. Carrying with powerful blue light source, Glite 900 BW is able to excite the most popular fluorescent eco-friendly branding dyes in the market and farther to capture the gel image for further analysis purpose. Moreover, equipped with white light source gel stained with colorimetric dyes and western blotting fixed with HRP/DAB treatment are easily digitized without any difficulty. With Glite 900 BW, you will experience what “following the instinct to capture the image” is. 1.Transmitted blue light for Midori Green, SYBR Safe and SYPRO Ruby stained gel image, etc. 2.Transmitted white light for coomassie blue stained gel and scientific film, etc. 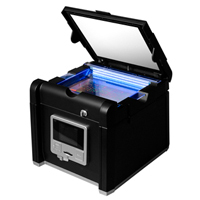 3.Epi white light for HRP/DAB western blot image. 5.Ultralight, portable, and compact size. 1. Blue light Applications: SYPRO Ruby gel stain, SYBR Safe gel stain, SYBR Green gel stain, SYBR Gold gel Stain applications. 2. White light application: Coomassie blue gel stain, western blot colorimetric signal forms.